Rotary District 7020 is a beautiful Rotary International territory in the Caribbean that includes Anguilla, Saint Barthélemy, Saint Martin, Sint Maarten, the British Virgin Islands, the United States Virgin Islands, Haiti, Jamaica, the Cayman Islands, the Turks and Caicos Islands and the Bahamas. As has been reported in national and international news, Hurricane Irma has seriously devastated 7 of our islands. WE NEED YOUR HELP to assist with immediate relief efforts as well as initial recovery projects that will give communities a sense of hope and our children the opportunity to return to school. 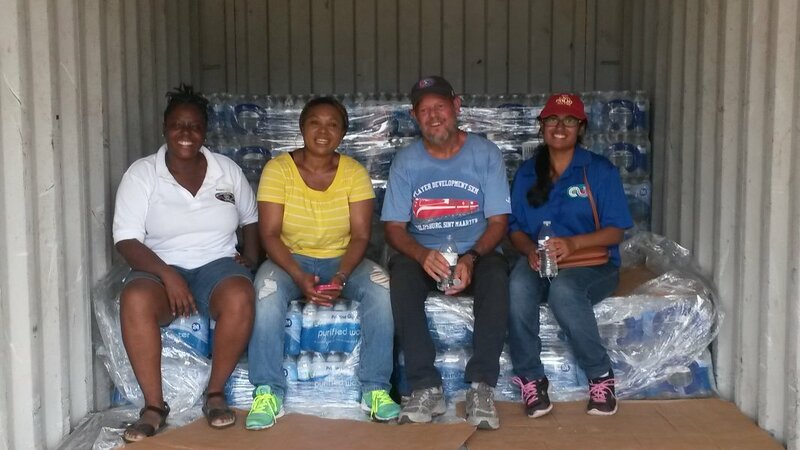 Our communities are dire in need of water, food, medicines, basic personal items, construction material, school furnishings and supplies. 100% of the funds we receive at Rotary are utilized in financing to these works. All our projects will be coordinated by Rotary Clubs and Rotarians on the ground in each of the affected territories, in conjunction with the community leaders, and other service/aid organizations. All Rotarians volunteer their time and skills when undertaking these projects. As soon as we start receiving funds, disbursements will be made to the Rotary Clubs throughout the islands. We have 85 Clubs, comprising over 2600 local volunteers in the region, so we have the unique ability to work in all affected regions at the same time. WE NEED YOUR HELP so that all island communities can be assisted as soon as possible. Donors will be sent weekly updates of developments. You can also read reports and actions taken at www.7020.org . Disaster Network of Assistance Rotary Action Group, Inc (DNA-RAG | www.dna-rag.com) is an exempt organization as described in Section 501(c)(3) of the Internal Revenue Code; EIN 47-3860087." DNA-RAG is managing the funds for the Rotary 7020 Hurricane Irma Fund. 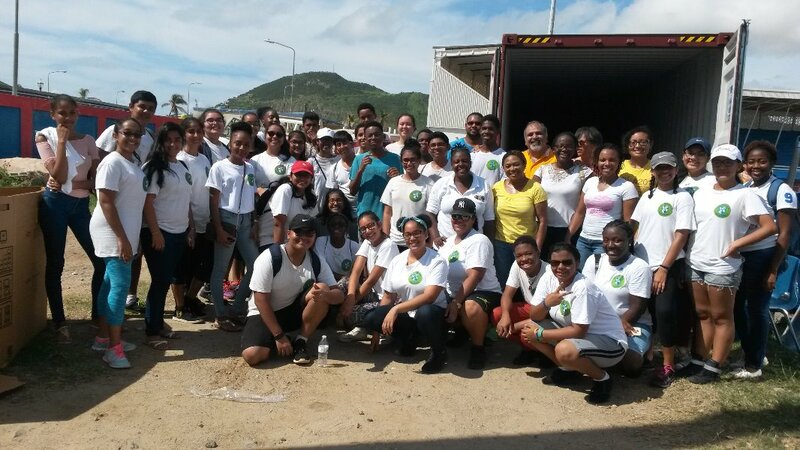 Relief items from District 7020, a container of 1680 cases of Pristine water and a large quantity of sanitary, care and cleaning items, were received by the Rotary Clubs on St. Maarten. Rotary St. Catharines from Ontario, Canada sent a 40 foot container of items for all of the Rotary Clubs of St. Maarten. 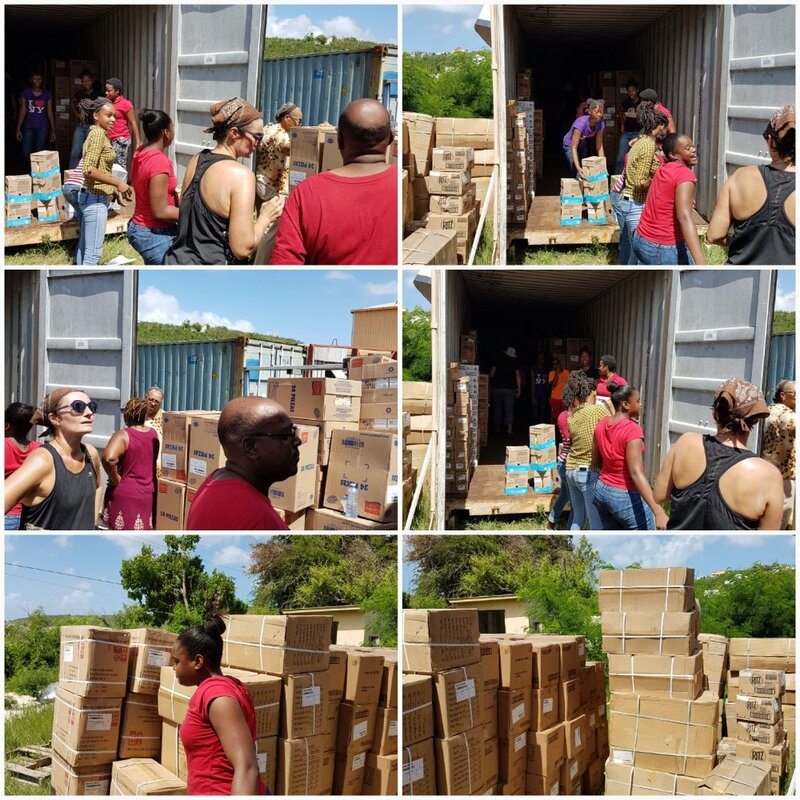 The contents of the container include food, clothing, shoes, linen, blankets, house wares, sports equipment, school and medical supplies worth $15,000.00. 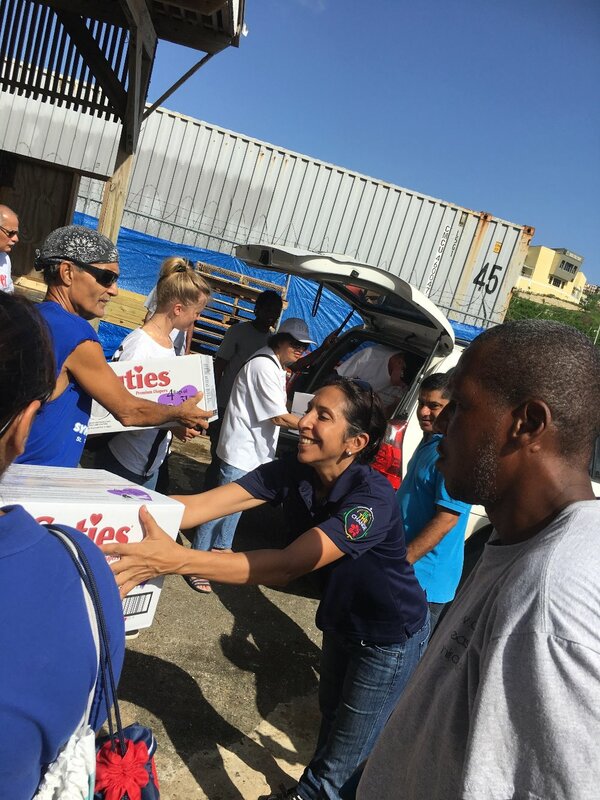 The items were distributed among the Rotary Clubs of St. Maarten, Rotary Club of St. Maarten Mid-Isle and the Rotary Club of St. Martin Sunrise. 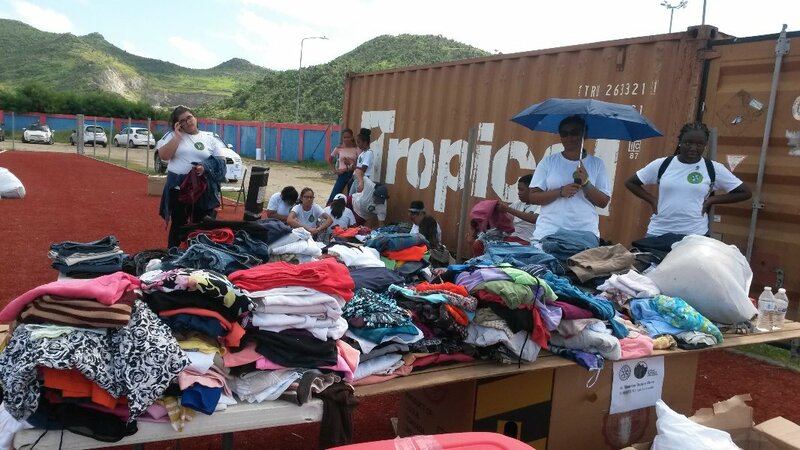 To assist with the offloading, sorting and distribution of the items, from both containers received, more than 60 Rotarians, Interacters, Rotaractors, Friends of Rotary, Tom Burnett and members of Player Development SXM and other volunteers assembled at the Little League Ball Park on Saturday, November 18, 2017. The Rotary Clubs of St. Maarten would like to thank our District 7020, DG Robert Leger, the District Relief Committee, Lezlie Murch and the members of The Rotary St. Catharines, and the donors from Ontario Canada for the generous donation! 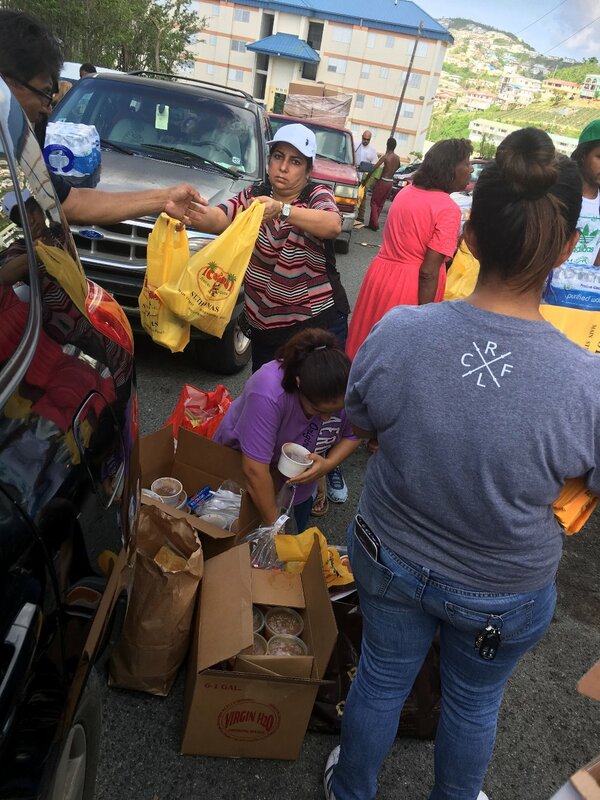 The recipients of the relief items were so pleased and thankful for the donations and as Rotarians it was our pleasure to aid individuals and organizations in our community at this time. USVI – Rotary Club of St. Thomas: Last week, Rotarian Addy Ottley, owner of Radio Station WSTA gave a 15-minute interview of Past President Anna Paiewonsky (pictured right) who spearheaded a community wide distribution project by gathering partners from other volunteer groups across the island. 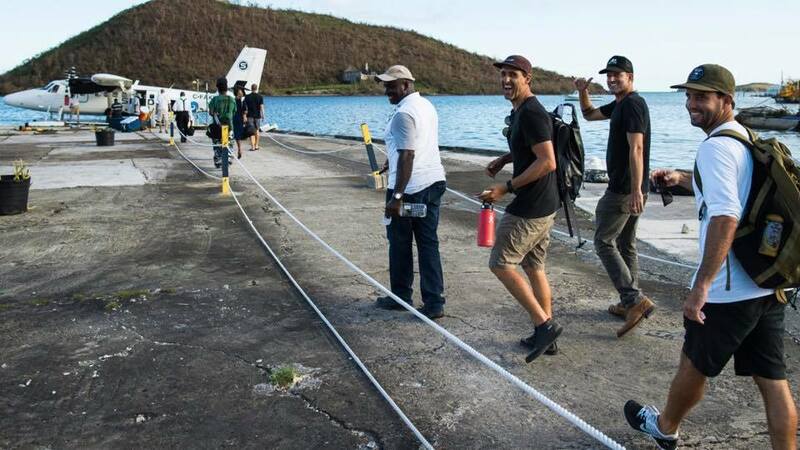 The project involved the transportation and delivery of essential supplies to communities which were in dire need and which had received little outside support. The Red Cross provided essential items for the families, FEMA donated 75 cases of MREs and 75 tarpaulins. 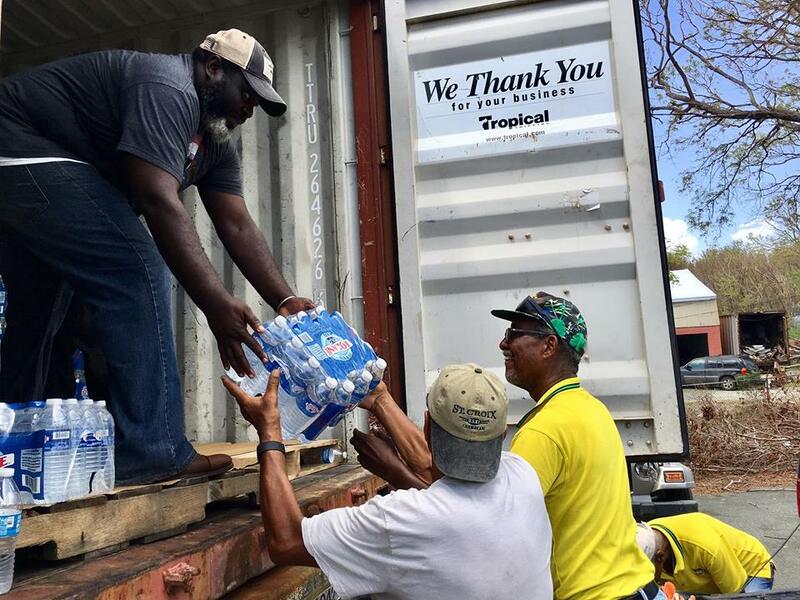 The Hebrew Congregation of St. Thomas sourced supplies from various Jewish organizations worldwide and Rotary 7020 via St. Croix, provided 100 cases of water. Hunter Foods provided transport as did My Brothers Workshop. An army of Rotarians from RC St. Thomas were joined by volunteers from My Brothers Workshop and the Satya Sai Center of St. Thomas to deliver to the most vulnerable residents. The following pictures illustrate this community-wide project. The Rotary Club of Anguilla spent time last week sorting and packaging hygiene products and breakfast products for over one thousand (1000) students who are now back at school. 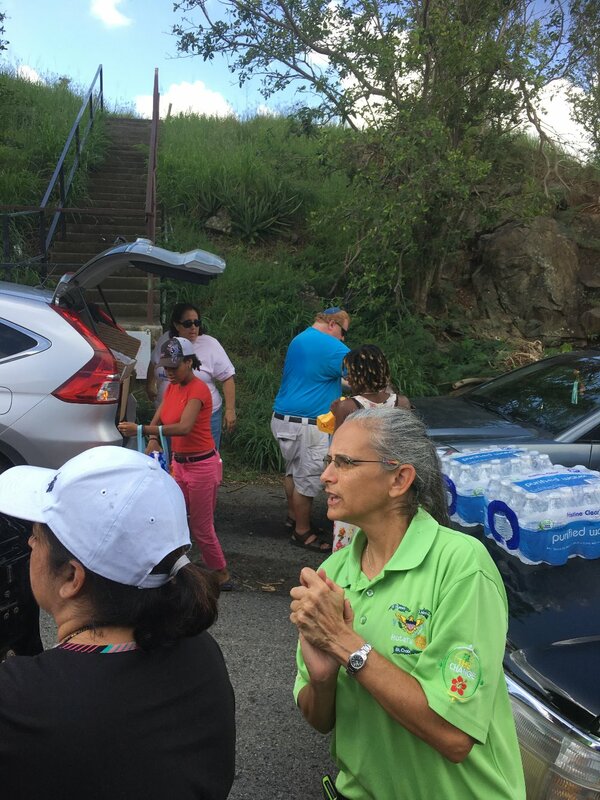 St. Croix, USVI: 850 cases of water have been distributed across St. Croix by Rotarians who went to communities to distribute to special needs centres and the like. Help from Haiti - Waves for Water Haitian Rotarian Fritz Pierre-Louis and the President of the Rotary Club of Leogane, have joined together with a few members of the Rotary Club of the US and British Virgin Islands to initiate some water filter programs and assess the destruction of Hurricane Irma and Maria. Rotary distributes 850 cases of water.